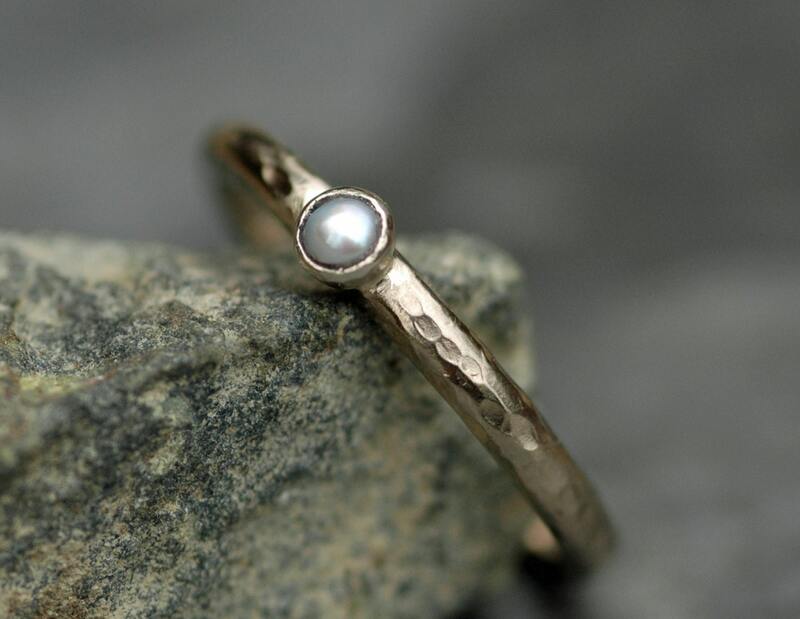 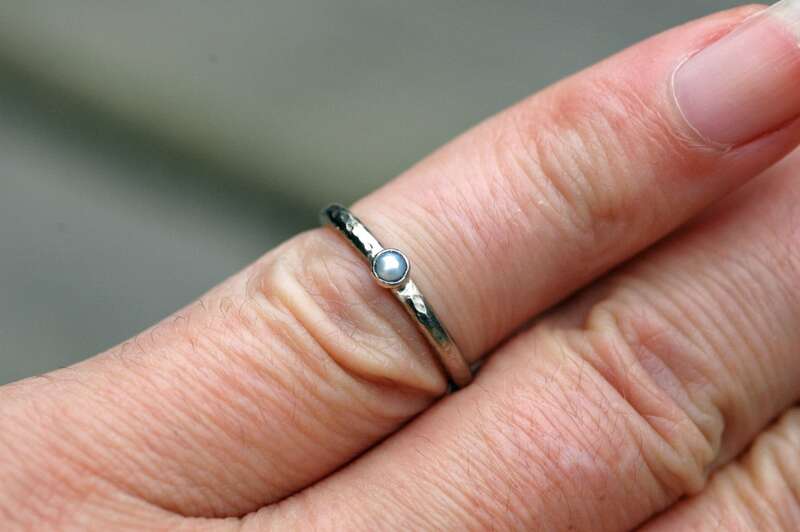 This ring is built around a tiny, white seed pearl. 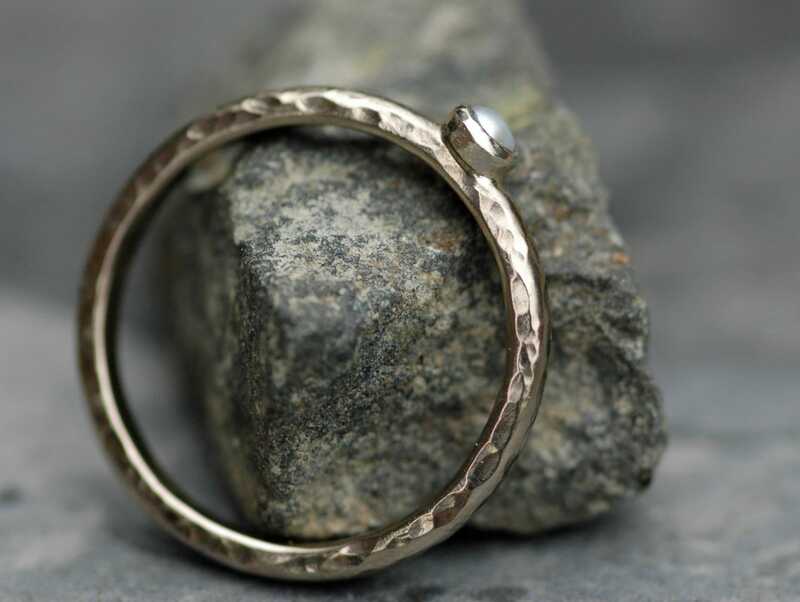 It is set in a textured bezel. 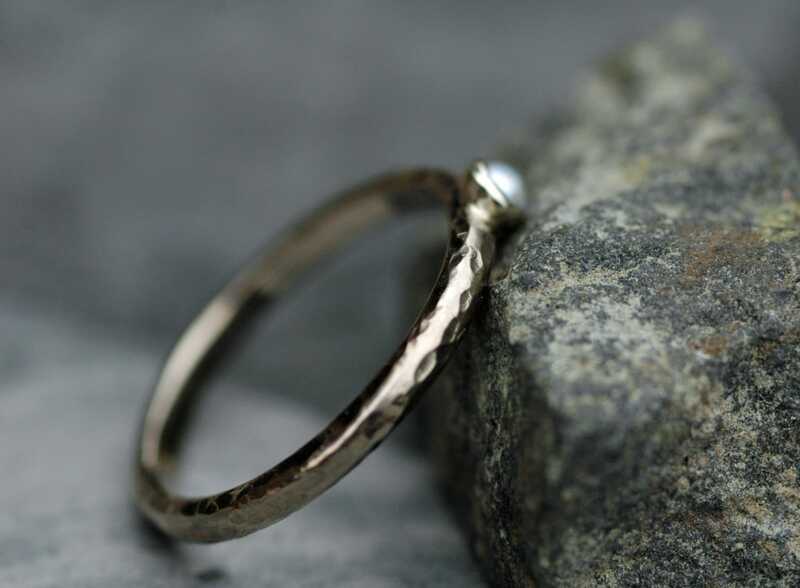 The band is built of hand-hammered 14k yellow, rose, or white gold, and is a slender 2mm wide. 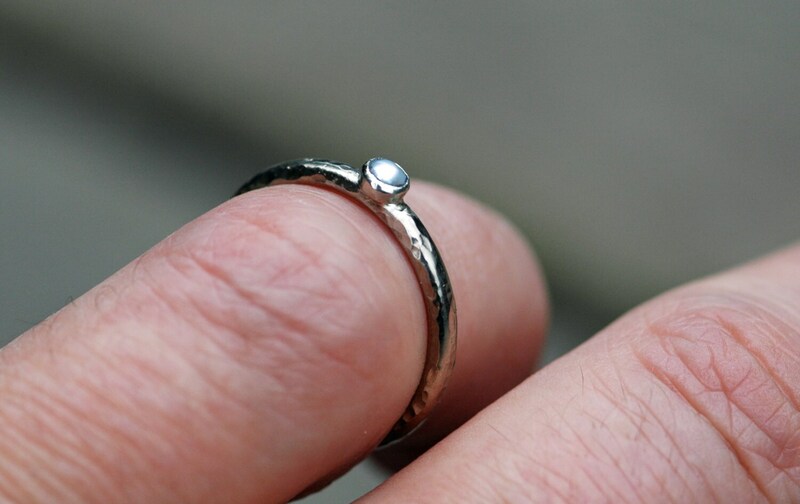 In the photos, the ring is shown in white gold.